"These stick and small dog hair vacuum models have all received an excellent rating for picking up dog hair." They are then listed in order of overall performance on surfaces such as carpet and wood floors. Each of the models will do the job when it comes to picking up dog hair, a fact which has been verified by the most trusted authority in appliance testing, Consumer Reports. Top rated dog hair stick vacuum with excellent performance on wood floors and dog hair, and very good performance on carpets. The #1choice in consumer reports. 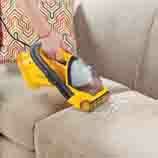 The vacuum is cordless and uses Hoover WindTunnel technology. The widely advertised Shark Navigator is a bagless and cordless model that also have excellent ratings for dog hair pickup. It is also the top rated stick model for carpet pickup. The Dyson DC44 Animal is also an excellent dog hair stick vacuum. It is good for carpets, and very good on wood floors. If you vacuum carpet and dog hair, we suggest the Hoover or Shark model. If not or if you find it at a value price, the Dyson is a very good choice. Due to the small size it is hard to find models that can performance at an excellent level when picking up dog hair. 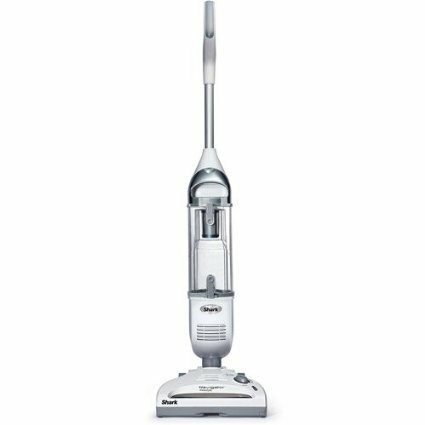 Only one, the Hoover Platinum, received an excellent score. The other models listed are very good on dog hair, but perform well on other surfaces. Because of this we are including all three on our recommended list. 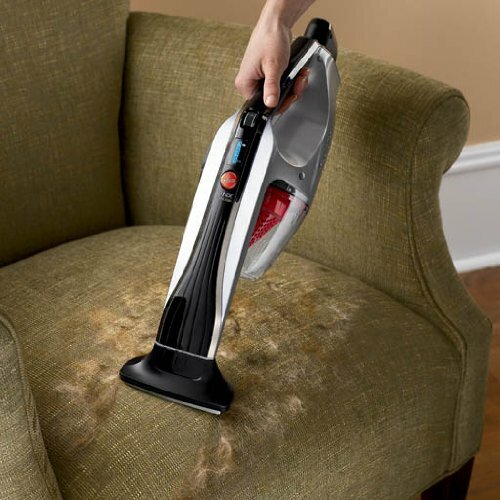 This is the only hand vacuum model to get a top rating for dog hair from Consumer reports. 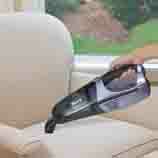 It is a cordless model that also gets top marks for vacuuming edges. The Shark Pet Perfect II is the overall top rated small hand vacuum as a general use vacuum, but rates below the Hoover for dog hair. It excels for use of bare floors, with very good ratings for carpet and pet hair. Another top rated model for general use and very good ratings for dog hair. If dog hair is your priority, then go with the higher priced Hoover. If you are looking for a model that is excellent on bare floors and edges, and very good on carpet and dog hair, then go with this value priced model.